Slightly Mad Studios are very pleased to announce a new partnership that extends the list of prestigious manufacturers in Project CARS as Ruf Automobile joins the WMD-powered title. Project CARS will include four of Ruf’s iconic German sports cars, bringing both a true classic and three current RUF models to the title. Founded by Alois Ruf Sr. 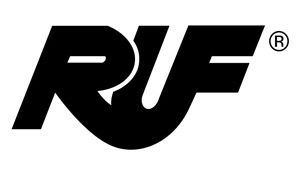 In 1939, Ruf has become one of Germany’s most prestigious manufacturers of sports cars. Ruf uses Porsche bodies as base for their vehicles, adding their own engineering and design to create something unique, making the company a registered manufacturer instead of just a tuner of performance vehicles. Project CARS will feature four Ruf models, one true classic and three cars from RUF’s current 2012 lineup of models. Based on the Porsche 911 3.2, the 1987 CTR „Yellowbird“ is one of Ruf’s most iconic models. The CTR is powered a 3.4 liter twin-turbocharged flat six engine providing 469hp. The engine uses two large turbo chargers & intercoolers and had been equipped with a new Bosch Motronic as well as an ignition setup originally designed for Porsche’s 962 Group C race car. Thanks to extensive weight saving measures such as usage of fiberglass and aluminum, the CTR weighs just 1150 kilograms, resulting in a very impressive performance. The two-door coupe sprints from 0-60 miles in just 3.7 seconds, topping out at speeds of no less than 211 miles per hour. To keep the raw power under control, the CTR relies on a Brembo braking system and Dunlop Denloc tires. 20 years later, Ruf continued their famous CTR range with a new model as the third-generation CTR was unveiled in Bahrain in 2007. Unlike its two predecessors, the CTR 3 uses a mid-engine design with a larger wheel base, providing both an excellent balance and better driving stability at high speeds. The base ingredients have not changed from the original CTR concept though as the car is once again based on the principle of weight saving and pure power. Uniquely-designed and using a shell made of Kevlar-carbon composite, the car weighs just around 1500 kilograms despite featuring Ruf’s famous Integrated Roll Cage for improved passenger safety. Just like the original CTR, the CTR 3 relies on a twin-turbocharged engine as the 3.8 liter flat six provides no less than 750hp, resulting in a power-to-weight ratio of 2,1 kilograms per HP. The CTR3 is equipped with sophisticated racing technology, featuring a sequential six-speed gearbox, slip differential and a sport suspension. The Rt 12R is based on Porsche’s 997 platform as Ruf once again cut no corners to create a stunning driving machine. Powered by a twinturbo-charged 3.8 liter flat six engine, the RT 12R boasts 730hp of power, making it a sensible decision that the Rt 12R uses all-wheel drive even though a rear-wheel version is available on customer request. The car features Ruf-designed bodywork for increased downforce and higher stability, including a racing-style rear wing. Ruf also added cross-drilled brakes and a self-developed suspension system. The Rt 12R ranges among the fastest production cars in the world, sprinting from 0-60 in just 3.2 seconds and topping out at a breathtaking 230+ miles per hour. While Ruf has always extensively developed their cars to differ from Porsche’s base designs, the RGT-8 takes the company’s engineering efforts to a whole new level. Based on the brand new Porsche 991 model, the RGT-8 will be the first Porsche 911 body car to not be powered by the traditional flat six engine. Instead, Ruf has opted to install a self-developed 4.5 liter V8 in the back of the RGT-8, ending a long-running tradition for many Porsche enthusiasts. Buyers will have to make no compromise in terms of performance though as the V8 provides 550hp and 500 Nm of torque. Of course, the car also features Ruf-developed bodywork and the famed Integrated Roll Cage, the RGT-8 uses ceramic brakes and Michelin Pilot Sport Cup tires for traction. WMD members will be able to take a virtual test drive once first versions of the four Rufs have been completed by using the regular development builds of Project CARS. To shorten the waiting time, WMD members get to follow every aspect of the car development process on the WMD forums, from the first steps to the finished car out on track. BMW Z4 GT3 - Team Schubert - Sag JA zum Ring !